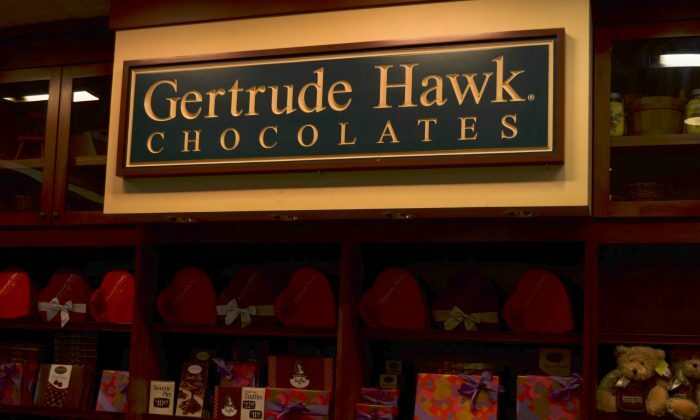 MIDDLETOWN—Bakeries and candy stores in Middletown and Wallkill have plenty of love to give on Valentine’s Day. Local bakeries Carmine’s and DeFillippi’s have specialty cakes and cookies popular for the holiday. Gertrude Hawke Candy Store, Candy Land, and the Sugar Shack bring sweetness for a child’s Valentine surprise. Something Sweet’s sumptuous desserts and dinners can be enjoyed in intimate surroundings for a cozy Valentine for two. As Feb. 14 appears on the horizon, bakeries and candy stores that cater to local tastes may agree with Peanuts creator Charles M. Schulz: “All you need is love. But a little chocolate now and then doesn’t hurt.” Chocolate baked goods, especially cakes and cookies, are a popular choice. Vincent Fratto, an owner of DeFilippis Italian Pastry Shop in Middletown, says the big seller on Valentine’s are heart-shaped cakes, chocolate-dipped strawberries, miniature pastries, and cookies. He says both men and women come in for a holiday treat on the day. “You get ladies who come in and get heart-shaped cake for their husbands or vice-versa.” Sfogliatelles, ricotta-filled Italian pastries, are Fratto’s favorite any time of the year. What could be more popular than the dessert classics—cakes with whipped cream—for the big day, according to Carmine’s present manager and youngest son of the owner, Carmine Arrotta. Cakes, heart-shaped and round, sell well. Arrotta says cakes, heart-shaped and round, sell well. Cookies, in all shapes and sizes are popular. His secret is to “keep it simple” with custard or whipped cream filling or frostings. Watson says they usually go through six to seven hundred pounds of strawberries for the holiday. Sweets come in other flavors, but chocolate is the big seller. Candy Land cashier Ashley Martinez at Candy Land in the Galleria Mall says their sweet eats are “mostly for little kids to exchange valentines.” The larger boxes of chocolates are for adults. For serious chocolate aficionados, the store packs baskets. Candy bouquets made of chupa chups, a creamy lollipop from Puerto Rico of mango, vanilla, or chocolate make for a sweet gift. Because we are more kid-oriented, we are trying to encourage our customers to bring their little sweeties in. The store on the soon-to-be-completed King Street Walkway offers “pies, cake pops, candy, candy & more candy,” according to its website. “For your little Sweeties bring them by for lunch or a nice dinner. If you happen to be out at a fancier restaurant, end your date with some sweet ice cream,” she posted on Facebook. Landing on a Sunday makes it special for Something Sweet’s customers because they will open with a brunch in the morning, close for a couple of hours, and offer a sumptuous three-course prix fixe dinner. Owner Anna Madden says the dinner “is a lot fancier than what we typically do.” The menu starts with an Amusse-Bouche, “a fantastical teaser to delight the appetite,” according to the Valentine menu. The local candy shops and bakeries will have lots of sweet love to give to that special Valentine. To contact this reporter, please email yvonne.marcotte.com.